The Thinking Tree has some new mama journals out!!! As always they are super awesome. Sarah is one creative mama! I love how The Thinking Tree (Sarah Janisse Brown) thinks of mamas too! 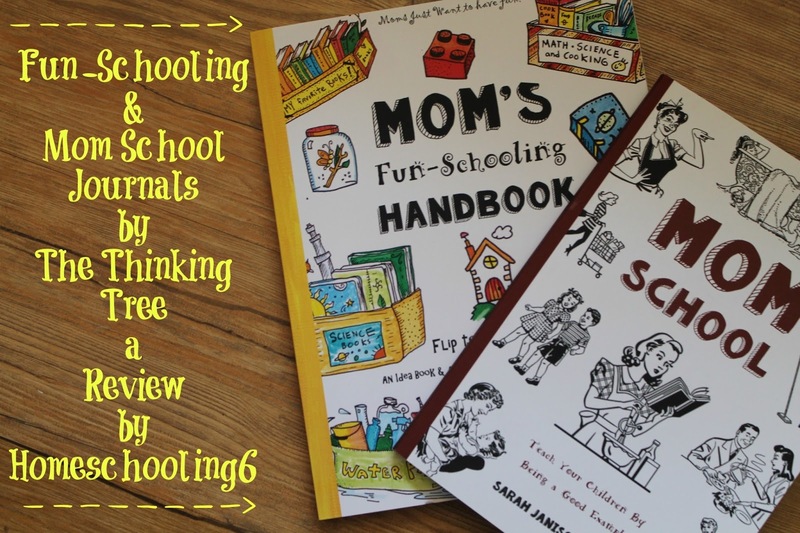 Usually the only homeschooling books for moms are teacher manuals. It's great to have something pretty and/or fun for mom. The Think Tree is encouraging moms everywhere to Flip to Fun-Schooling. What exactly is Fun-Schooling? For us at Homeschooling6 it's a bit more structured. For instance right now we are using Notgrass History: From Adam to Us along with many of The Thinking Tree supplemental books: Fun-Schooling Spelling Journal, Comic Book Math, Are You a Math Genius, etc. The Fun-Schooling journal for mom is different from the others that I have written about. 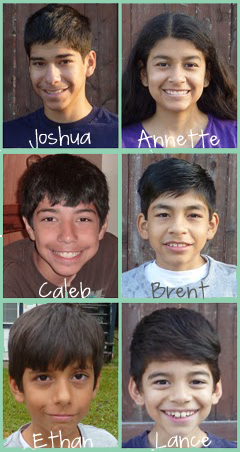 It's set up to give you an idea of to implement fun in your homeschool. One of the ways to encourage fun-schooling is to make baskets (or tubs and crates) pertaining to a subject. For instance the math basket can have manipulatives, fun math reading books, games, etc. Or a Tea Time basket! You can also make a timeline, art, coloring, and all kinds of baskets. Get creative. Set the baskets out where the kids see and are able to easily pick them up and start. If it's a timeline or art basket put scissors, tape, coloring pencils, and anything else your child will need to complete a project. There are also pages for you to write what YOUR children WANT to learn. Space for you to write how to plan and organize and eventually execute or in other words Goals for This Week! 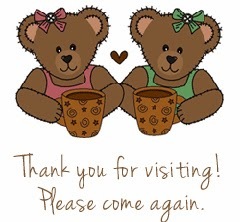 Coloring pages to share with your kids! How awesome is that!?!?! You get to involve your child in YOUR journal. What special moments, memories, and bonding time. 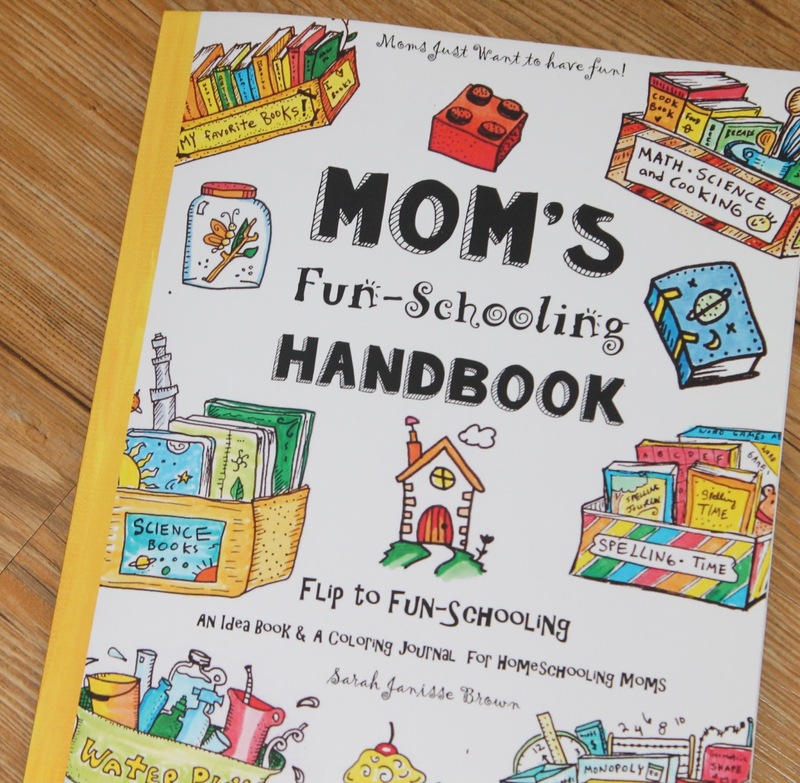 Here are some pictures of what you will get when you purchase a Mom's Fun-Schooling Handbook! I think we all want to be willing to toss out methods that our children can't thrive with, and find ways to help them learn, ways that they enjoy. We are moms who see our kids struggle and wonder if there is a better way. We are moms who make mistakes and learn and try something different. Next up is the Mom School journal. This is one of my favorite journals for moms (next to the Coffee Time one of course!). I love the whole retro look of the Mom School journal. It's fun and reminds us moms of a time when mama staying home was the norm BUT you don't have to be a stay-at-home mom to love this one or even a homeschooler. Sarah makes everything fun, even making a shopping list and things we need to buy! And like I've mentioned in the past, what a great keepsake. I know Caleb needs shoes. I can put that on the Things I Need to By page with his age and size. Memory! Math for mom. This is a great way for your children to see math in action! To read and compare more mom journals on my website: Choosing a Mommy Journal. 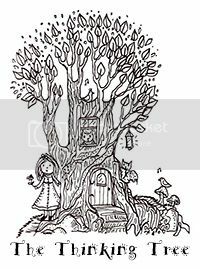 Visit The Thinking Tree's official website, just click the cute thinking tree graphic! The World is Our Classroom Review & Giveaway!